Iver Arnegard's debut short fiction collection takes us into the desolate landscape of the Northern Plains and Western states, where man is but another animal seeking sustenance. The hardscrabble men and women who populate these fictions must survive and contain wildness within and without, a struggle fraught with violence, wonder, and moments of crystalline beauty. 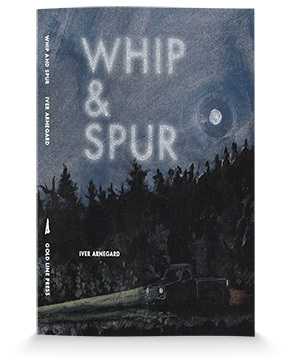 "The prose & subject matter in Whip And Spur is astonishing, starkly rendered, tough yet sensitive, with a great balance of broad strokes and fine chiseling. There are smart contrasts throughout, in narrative and in syntax."